Vermonters are the losers in a recent agreement aimed to sweeten the deal for the sale of Entergy’s shuttered Vermont Yankee nuclear power plant. Slick talk and empty promises prevailed. In a rush to secure a possible – and by no means certain – quick clean-up of the site, the agreement short-changes Vermont communities. Entergy is responsible for cleaning up their plant, but wants to hand everything over to NorthStar – a company that has no experience decommissioning nuclear power plants – instead. The deal Entergy and NorthStar proposed leaves Vermonters vulnerable to picking up the tab if something goes wrong. And with Entergy, we’ve seen things go wrong before. The terms of the proposed transfer lack common sense protections, relying instead on shallow promises. With communities in Vermont still reeling from the PFOA toxic waste left behind in Bennington, it’s ludicrous not to have sensible, commonplace toxic site clean-up protections in place for Vermont Yankee. The buyer, NorthStar, has little of its own money on the line and will hold the contaminated site in a shell corporation. This shields them from liability. Unlike transferring ownership of an operating power plant, Vermont Yankee is closed, so isn’t capable of generating revenue. NorthStar will make money by draining the clean-up funds. That may be good for NorthStar, but won’t protect Vermonters if the money runs out. NorthStar has made great promises, but provides little to back them up. The details of the transfer are a closely guarded secret, kept hidden from the public. Many of the commitments sound good on paper and have big numbers attached to them. However, they also have so many conditions that Vermonters will not be able to rely on or enforce them. “Trust us” shouldn’t be the basis for a new deal, and we’ve seen Entergy double-cross Vermont before. That should have made Vermont officials extra careful. It didn’t. Once the property is transferred, NorthStar will have complete control, can hide behind a veil of secrecy, and would have incentives to cut corners and increase its own payouts. Vermont Yankee is the first of what may be a number of Entergy-owned nuclear plants to close and need clean-up – including the Pilgrim Plant in Massachusetts. It’s important to get this first one right. 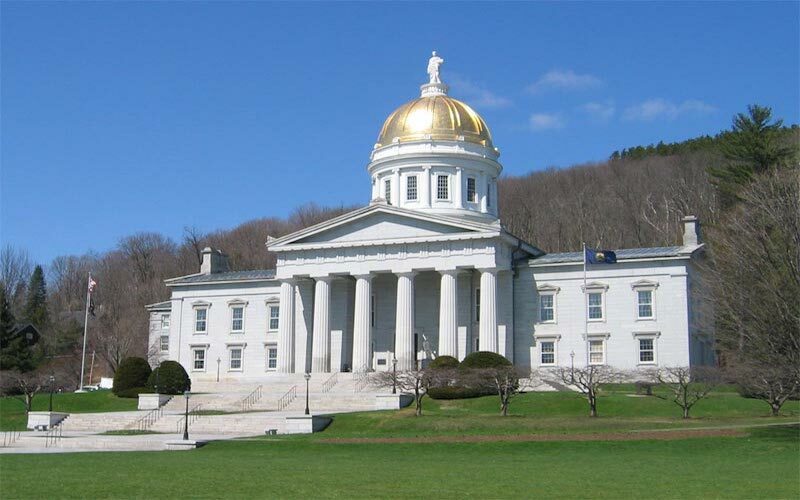 Over the course of many months in proceedings before the Vermont Public Utility Commission, written testimony from state witnesses, as well as CLF, highlighted the many problems with the structure of and financial backing for the proposed transfer. Handing over the keys and the bank account to a shell corporation has already been rejected once, and is hardly a recipe for success. After the testimony was filed, Entergy, NorthStar, the State of Vermont, advocacy groups, the host town, the regional commission, and Native American tribes sought to work things out. But the loose settlement agreement that emerged, provides little additional protection – so CLF did not sign on to it. CLF fought for many years to close the old, leaking Vermont Yankee plant, and in 2014, it finally shut its doors for good. Entergy remains responsible for the clean-up and has about half the expected funding (money set aside from electricity customers) needed to get the job done. Clean-ups of nuclear power plants can often cost much more than expected, so Entergy planned to mothball the plant and wait up to 60 years to begin clean-up activities, allowing their clean-up fund to grow in value. In 2016, Entergy proposed its new plan: hand everything over to NorthStar. Entergy claimed that NorthStar would get the job done faster and complete it with the money currently available. But it didn’t take long for us to realize that there was little to back up these claims. Absent a solid foundation and real commitments, this deal is patched together with funny money, empty promises, and huge loopholes. The promises are not supported by insurance or money set aside until the work is done. It may sound like there are commitments and new financial assurances, but as Vermont has seen before with Vermont Yankee, if they are not enforceable, they cannot be counted on. It’s easy to make promises. But those promises need to be backed up with real money. The Vermont Yankee agreement leaves Vermonters as the guinea pigs of a shaky new venture. Vermonters deserve better – and CLF will continue to fight for stronger, common sense protections.